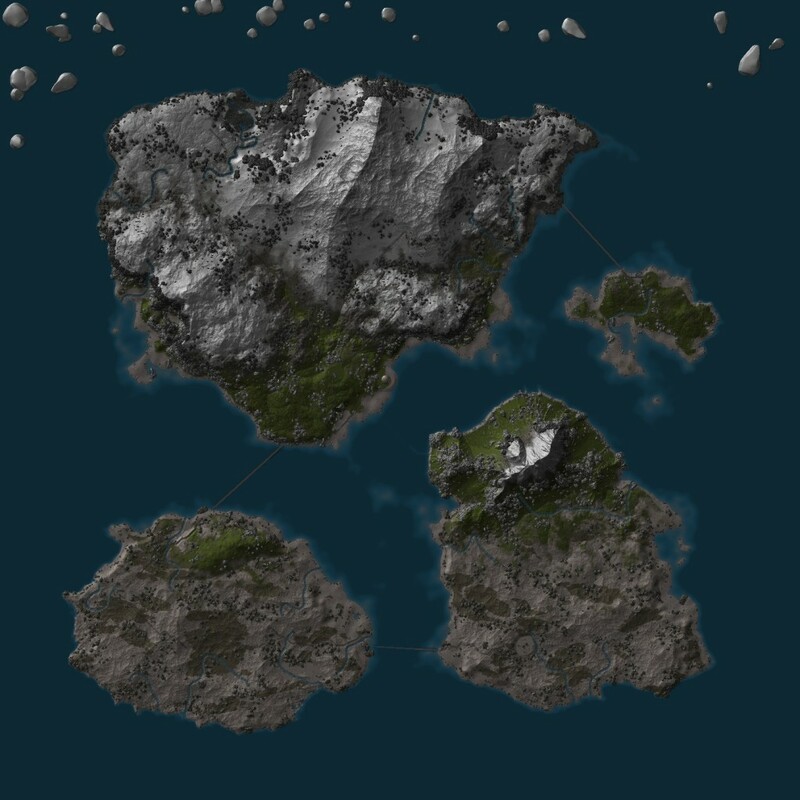 A Map of my Rust World! I’ve given something in the neighborhood of 100 interviews (probably more, but why overestimate) in the past dozen years. When our teams were expanding and when people left I was given the opportunity to lead, craft and perform the technical interviews for my teams at Symantec and was given the opportunity to see the process of finding a new job from the other side on a large number of occasions. However, I want to lead this off with a discussion about my own resume. Even now, looking at it, I think there are things on there that would get me into trouble in interviews. Things that I’m not 100% certain of that I would have to remove when applying for a real job if only to give the most honest accounting of my skill set. Raid Arrays being one of them, I have worked with them, but they are not my specialty and I don’t “work” with them all day or even frequently. I don’t do hardware work at all in my current job save placing Units in racks on occasion. I put this out there to dovetail into a discussion about veracity on ones CV and how it caught me and catches interviewees that I’ve met in the past. When I was interviewing for a fairly awesome job in San Francisco for a firm that my friend worked at I was asked a question about TCP/IP that a TCP “expert” like I claimed on my resume should have known the answer two off the top of my head. I answered evasively on the whole matter and eventually had to embarrassingly admit that while I had an idea how this particular concept worked, I could not answer any detailed questions about the subject (TCP Headers and routing questions if you are interested) I still don’t have a strong grasp of the concepts I was asked about. I understand TCP/IP and can dissect packet captures easily, but I am no expert, simple and plain. This event led me to attempt to make my resume more honest, more complete. A statistical view of my work instead of a florid description of me. Discussing it with HR I noted that for the most part when your Resume is screen they look for “the points” and discount the rest. So while you may have designed and integrated a home brew Directory Service and implemented across 1400 workstations, if you don’t write LDAP or Active Directory on your resume, your accomplishment may go for naught. So too with Hard Facts. If you say “I have an MCSE” you’re going to meet someone with an MCSE who will ask you questions about the test or concepts therein. If you say “I have experience with Linux” it better be more than putting a LiveCD in a machine and running it for an hour or so. If you want to claim experience with something, have a realistic view of it in your head. If you can’t answer questions about it that are technical, you don’t know anything about it. For example, I cannot honestly debate the merits of EXT3 vs NTFS. I am not an expert in either file system and am not aware of their relative strengths or weaknesses, I know they exist and have installed machines that use them, but beyond large disc handling, I can’t on a professional level, tell you why NTFS is better or worse than EXT3. I have no well-formed or well-informed opinions on the matter. Thus I don’t claim file system knowledge on my resume and if the question came up I would answer in much the same way I have discussed it here, I’m not a subject matter expert on this and cannot answer questions on it. That said, in free form discussion, I might, but professionally, no way. All of this leads me back to another anecdote about interviews. For the most part, when hiring for gateways support in Symantec, we hired from within. This sometimes led to disaster on small teams, as poor chemistry led to unresolvable conflict. As the team grew larger and it became clear that the skills we needed were not internally available, we started looking externally. This led to a series of what I would describe as “monster” resumes, resumes that looked very very impressive. At first we sent some back saying “this person is overqualified” we were assured that these individuals were aware of what they were interviewing for so we accepted all comers. Which was illuminating. Of the 27 or so resumes I looked at, only a handful people were able to meet the minimum standards we were trying to meet and in one hilarious episode an esteemed teacher failed to grasp the very basic concepts of what he claimed was his area of expertise. We had a set series of questions, so it wasn’t an opportunity to pick apart someone’s resume until we completed the set questions. If people didn’t do well on the set questions, the interview was over and the resume didn’t even enter into things. However, when given the chance, I like to just wander through the candidates resume, asking questions about the concepts discussed there. Sometimes I meet a networking expert and I finally get to ask them how TCP Headers and routing work and eventually I’ll meet someone who can tell me. 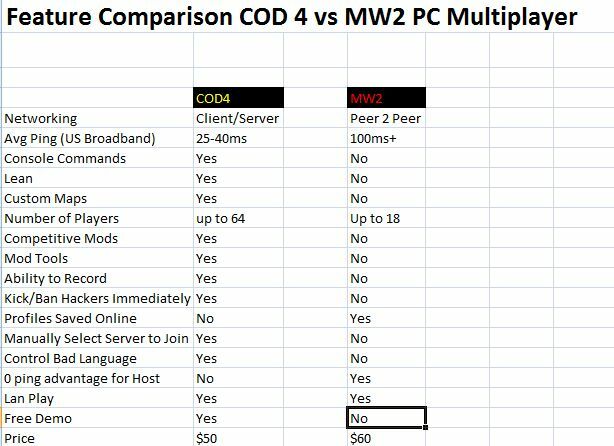 Call of Duty 4 was Great so Modern Warfare 2 should be awesome? Q – Ignoring IW.net, is the PC version a direct port of the console version? A – Mackey-IW: No, PC has custom stuff like mouse control, text chat in game, and graphics settings. No Mods, no console, no “lean” no self-hosting, no nothing. You may as well buy the console, because it is piracy proof! Wait, did you say piracy proof? Why is it all over the net being played on hacked Xbox 360s? Shoot! Doesn’t that mean that this crappy negative-featured version is hobbled for no god-damned reason at all? Yup! Where is my Windows 7 upgrade disk Dell? The shipping date shows it being shipped 2 days after I received it. Obviously a broken system. I have it installed now, I’ll probably post about it here and there over at my twitter stream, watch for more there. Where the hell is Windows 7 disk? It’s been a few days and the damn screen hasn’t even lit up with; we’re sorry that we can’t achieve something we’ve had months to plan for and a supply chain so long you can’t see the end of it from mars. I’d imagine that if I was a computer company that was selling the fact that we were going to upgrade everyone who bought a new PC in X amount of time would have an upgrade disk ordered and packaged for each one, even if it wasn’t requested. I guess that Dell didn’t do that. They instead used the Just in Time method. In case people didn’t want to upgrade, because they were deliriously happy with VIST-…oh hell, what does UAC want now? A. From all reports, Windows 7 is a big step up and I am really looking forward to putting it to the test here. I just wish Dell would ship it out or at least acknowledge that I have it ordered. Number one Search term on Google for the past 2 hours, “Return to Halloweentown” it’s after 7pm all over the US right now. It is literally past the bedtimes of the majority of the people using Google to search now. Nice. Also, how is it that saltpeter became so popular? Did someone on TV suddenly discover how to make their teenage son stop masturbating at dinner? Return to Halloweentown is a kids movie about a family of witches and their ongoing relationship with an alternate universe with rubbersuit monsters as the primary residents. Said Halloweentown residents sometimes cross over and have adventures in the “real” world. I know this because I have a sub-teen in my house and she watches these movies as if they are entertainment. I know that if it isn’t Ernest Saves Hallowe’en it isn’t a good kids Hallowe’en movie. Two weeks in on the iPhone I’m very very very Impressed. I was able to link it to my Outlook account and synch it over the air via a flawlessly easy to configure WiFi account, I was able to use SSH from the device to manage my home servers without an issue and I can play music through the speaker when I just want noise where I am. It’s flawless save for the massive touchscreen and Camera. Installing apps is easy and painless, I prefer synching via iTunes, but have used the App store on the phone without issue. The interface really shines when you get to use all of it’s features, like RJDJ which allows you to organically interface with sound, touch and motion to create sound scapes. It’s amazing. 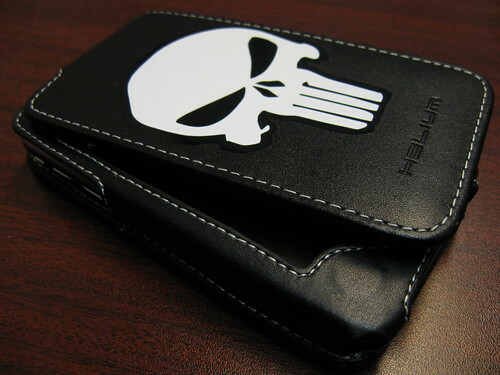 I strongly recommend purchasing a nice cover for your phone like the one I have on mine, if only to protect the very vulnerable screen. All in all, an excellet phone that is leaps and bounds over the Windows Mobile devices I have used in the past. Hi there, Slashdotters. My blog has some more information which you may find interesting. DriveSavers called today to inform me that the data was unrecoverable. Here is what happened: the server which held the journalspace data had two large drives in a RAID configuration. As data is written (such as saving an item to the database), it’s automatically copied to both drives, as a backup mechanism. The value of such a setup is that if one drive fails, the server keeps running, using the remaining drive. Since the remaining drive has a copy of the data on the other drive, the data is intact. The administrator simply replaces the drive that’s gone bad, and the server is back to operating with two redundant drives. But that’s not what happened here. There was no hardware failure. Both drives are operating fine; DriveSavers had no problem in making images of the drives. The data was simply gone. Overwritten. The data server had only one purpose: maintaining the journalspace database. There were no other web sites or processes running on the server, and it would be impossible for a software bug in journalspace to overwrite the drives, sector by sector. The list of potential causes for this disaster is a short one. It includes a catastrophic failure by the operating system (OS X Server, in case you’re interested), or a deliberate effort. A disgruntled member of the Lagomorphics team sabotaged some key servers several months ago after he was caught stealing from the company; as awful as the thought is, we can’t rule out the possibility of additional sabotage. But, clearly, we failed to take the steps to prevent this from happening. And for that we are very sorry. So, after nearly six years, journalspace is no more. If you haven’t yet, visit Dorrie’s Fun Forum; it’s operated by a long-time journalspace member. If you’re continuing your blog elsewhere, you can post the URL there so people can keep up with you. We’re considering releasing the journalspace source code to the open source community. We may also sell the journalspace domain and trademarks. Follow us on twitter at twitter.com/jsupgrades for news. I don’t imagine for a second that my customers would be happy to find out that I was not keeping a non-volatile backup of my important data like these people were, but I don’t know if their customers were even paying for the service, so this may be a non-issue in terms of cash. I didn’t look any deeper to find out. As for my personal sites, I keep backups off site and on other mediums, but not as often as one might want or expect. In Fact, I’m doing one now just in case.